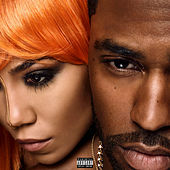 Big Sean and Jhene Aiko proved on the former’s 2013 hit “Beware” that they have a nice chemistry, and their melodic voices blend easily. Their rapport goes a long way on this concept piece about a couple falling in and out of love. “Talk Show” finds the two bickering like a teenage couple at the mall with Big Sean rapping, “Since we inviting everyone in the bedroom, let’s take the covers off.” They kiss and make up on “Push It” as Jhene sings, “I know you love it when I’m on top,” and the two harmonize on “London Bridge,” “Baby if you left, it’ll be a historical disaster.” Yes, Twenty88 is cloying, and the candied melodies of “Déjà Vu” seem more typical of urban pop in 2010, rather than 2016. But since these two clearly enjoy each other’s company, we might as well relax and enjoy them, too. 2016 Getting Out Our Dreams, Inc./ARTium Recordings/Def Jam Recordings, a division of UMG Recordings, Inc.